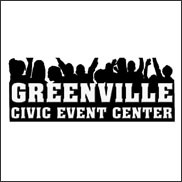 GREENVILLE, S.C. (CelebrityAccess) — After a 37 year run, the Greenwood Civic Center is facing the wrecking ball after a Greenwood County Council appointed committee determined that renovation of the venue was unfeasible. According to the Index-Journal, the civic center committee, consisting of members with wide professional experience in a variety of relevant fields, estimated that modernizing the facility as a convention center would require at minimum an investment $3.4 million, with additional costs to bring the building up to date in regards to safety codes and energy efficiency standards. It was also determined that the venue accrued for the county an average annual loss for operations of $168,915 from 1987 to 1997 and $130,528 from 1998 to 2008. “Even in the last four or five years, a need has not presented itself that would make it financially viable to keep,” Greenwood County Manager Toby Chappell said.